We are delighted to welcome Belinda McFarlane and Amy Dickson to our Board in 2018 and thank these two outstanding artists for agreeing to assist us with the difficult task of judging this year’s applicants. Helen Ayres is a Doctoral graduate of the University of Melbourne and founding member of Seraphim Trio. She has appeared as a guest artist with numerous Australian small ensembles including Flinders Quartet, Syzygy, the Australian Octet and Melbourne Chamber Orchestra. 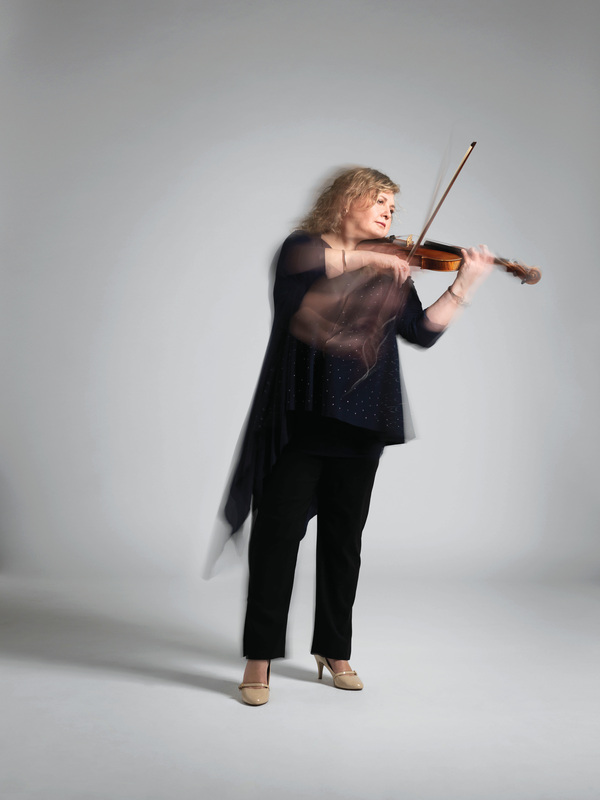 After spending two years living in London and studying pedagogy at the Yehudi Menuhin School, Helen has now returned to Adelaide to teach violin at Elder Conservatorium’s Centre for Young Musicians. While living in London Helen performed with the BBC Scottish Symphony and London Philharmonic Orchestra. As part of these orchestras, she performed across England, Scotland, Germany, Austria and China. Closer to home, Helen is a past member of the Melbourne Symphony Orchestra and has performed as guest principal with Orchestra Victoria and Tasmanian Symphony Orchestra. With Seraphim Trio Helen has regularly performed at various festivals including the Melbourne International Arts Festival, Port Fairy Spring Music Festival, Adelaide Festival of Arts, Adelaide French Festival, the Peninsular Summer Music Festival and in 2013, Opera Australia’s Ring Festival in Melbourne. Seraphim has recorded numerous CDs for ABC Classics and are currently part way through a series of trio recordings for ABC Classic FM titled The History of the Piano Trio. 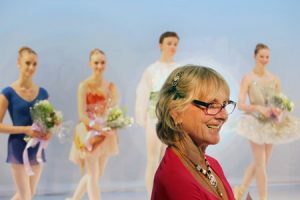 Isla Violet Baring OAM founded The Tait Memorial Trust in 1992 in memory of her father, Sir Frank Tait and his brothers, who played such an important part in the establishment of theatre and the performing arts in Australia. Isla’s mother, the singer Viola Tait, inspired her to organise a fundraising concert in support of a young Australian singer, Liane Keegan, who was newly arrived in London. It kicked off with a Christmas Concert at Australia House. The concert was a great success, became the foundation of our yearly events and Liane, after singing major roles in Berlin, is now a featured artist with the Melbourne Symphony and Victorian Opera. 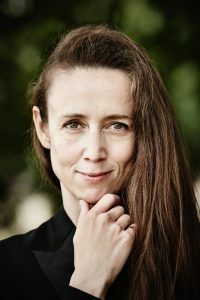 The 2017-18 season marks a return – after the success of her debut in 2016 – to the prestigious BBC Proms in July, as well as debuts with London Symphony Orchestra, Malmö Symphony Orchestra, Orquestra Simfònica de Barcelona i Nacional de Catalunya, Royal Liverpool Philharmonic Orchestra and Malaysian Philharmonic among others. 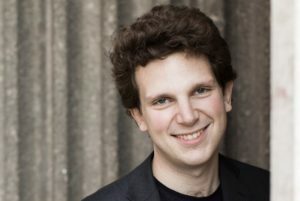 Born and raised in Queensland, London-based Australian pianist Jayson Gillham is recognised as one of the finest pianists of his generation. Winner of the 2014 Montreal International Music Competition, Jayson now performs with the world’s leading orchestras including the Sydney Symphony, Melbourne Symphony, London Philharmonic, Royal Philharmonic, the Hallé, English Chamber Orchestra, Nashville Symphony and Orchestre Symphonique de Montreal. In recital, he has performed at prestigious venues across the globe including Wigmore Hall (London), Louvre Auditorium (Paris), Steinway Hall (New York), City Recital Hall Angel Place (Sydney), Pollack Hall (Montreal) and many others. Jayson records exclusively for ABC Classics. Deborah Humble is one of Australia’s most successful and versatile dramatic mezzo-sopranos performing regularly internationally and at home. She began 2017 with performances in January of Erda in Siegfried for the Hong Kong Philharmonic Orchestra conducted by Jaap van Zweden. Naxos will be recording the performances for commercial CD release. After a solo recital in Adelaide, South Australia for the Wagner Society in February, she sang the role of Mary in Der Fliegender Holländer for Opera Lille, France, in March and April. In May Deborah joined the Sea Cloud 2 in Lisbon for onboard performances for Opera Australia. Further engagements in 2017 included Waltraute in Die Götterdämmerung for Saffron Opera in the UK, Klytamnestra in Elektra for Edinburgh Opera Players, recitals in Sydney, London and for the Newcastle Festival, Messiah for the New Zealand Symphony and Perth Collegium Choir and masterclasses for the Melba Opera Trust programme in Melbourne, Pacific Opera in Sydney and for the Tait Memorial Trust in London. From Adelaide, South Australia, Belinda is a violinist with the London Symphony Orchestra. An ex-member of the board of Directors and Vice Chairman where she served on the Education Liaison Committee, she is an active member of the LSO’s Discovery programme, working with people of all ages and abilities, participating and leading workshops in schools, community programmes and tertiary institutions in the UK and abroad. A lead instigator in the LSO’s On Track programme, she has led young musicians of all abilities from the east London Boroughs to perform alongside the LSO – most notably for the opening ceremony of the London 2012 Olympics. Other significant highlights are projects in France, China, Japan, USA, and Australia. Her work for the LSO is also depicted in the Channel 4 programme ‘The Addicts Symphony’ – mentoring recovering addicts, musicians, to create their own symphony and perform it alongside the the LSO. As well, for many years a member of the all-Australian fiorini piano trio, and currently a member of the Australian World Orchestra where she serves as their Youth Education Advisor, she has led chamber music and music workshops in Australia, UK, Zimbabwe and India. Belinda also teaches chamber music at the Junior Guildhall School of Music and Drama and returns frequently to Australia for the Australian Youth Orchestra as a Director, Tutor and Mentor. Graduating from the Elder Conservatorium, Adelaide University, with First Class Honours, a state finalist in the ABC Instrumental and Vocal competition, Belinda became Leader of the Australian Youth Orchestra before moving to London. Australian tenor, Anthony Roden studied with Arnold Matters, Donald Munro, Alexander Young, Erich Vietheer and Professor Lorenzo Malfatti. Anthony began studies at the Adelaide Conservatorium. Donald Munro and Nancy Thomas, the great English contralto, insisted that that he take a course at the London Opera Centre. After completion of a year, contracts came from the Arts Council backed, Opera for All and English Opera Group. At this time he entered for the Hertogenbosch Vocal competition which resulted in an agent offering several oratorio concerts in Holland. 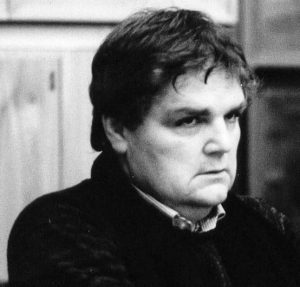 Taking an accepted route to Glyndebourne Festival and Touring OperaAnthony sang the roles of Lensky, Tamino, Belmonte, Don Ottavio, Gabriele Adorno, Florestan and Vitek over a period of years, during which time he was awarded the John Christie Prize. A time with Krefeld Stadttheater as principal tenor was followed by a three year contract with English National Opera taking on roles of Alfredo in La Traviata and Die Fledermaus, Ferrando, Tamino, Don Ottavio, Camille, Werther and Idamante. Guest performances in Prague were followed by a contract in South Africa for PACT. Anthony was a senior visiting lecturer at the Royal Northern College of Music for nine years before leaving to maintain a successful private studio, visiting Hamburg and other venues to teach, give masterclasses and sit on international competition panels. Conductors with whom he has performed include: Sir Charles Mackerras, Sir Bernhard Haitink, Sir John Pritchard, Edward Downes, Antol Dorati, Andrew Davis, Sir Colin Davis, Roger Norrington, Alexander Gibson, Herbert Kegel, Donald Runnicles, Voldemar Nelsson, Richard Hickox, John Hopkins, Myer Fredman, Patrick Thomas, David Lloyd Jones, Richard Armstrong, Ingo Metzmacher, Richard Divall, Roderick Brydon Pinchas Steinberg.Norman del Mar, Libor Pesek and John Bell. Orchestras Anthony has sung with include: London Philharmonic, BBC Philharmonic, English Chamber Orchestra, Academy of St.Martins-in-the-Fields, Royal Philharmonic, BBC Scottish, BBC Welsh, Ulster Orch, Dresden Phil., Orchestra Radio France, Nederlands Radio, Nederlands Chamber Orch.,RAII Turin, RAII Rome, Jerusalem Symphony, Hong Kong Philharmonic, Taiwan Symphony, Radio Orchestra Johannisberg, Sydney, Melbourne and Adelaide Symphony Orchestras, BBC Concert Orchestra and RLPO. Katrina Sheppeard is one of the UK’s most exciting up and coming dramatic sopranos – most recently jumping in for ENO’s Norma to great acclaim. In 2015 Katrina made her German stage debut with Theater Hagen performing the title role in Samuel Barber’s Vanessa conducted by Florian Ludwig and directed by Roman Hovenbitzer receiving two nominations from Welt am Sonntag. Other UK companies Katrina has performed with are Welsh National Opera, Opera Brava, Riverside Opera, Swansea Opera, Midland Opera and Bloomsbury Opera her roles including Tosca, Aida, Turandot, Tatiana from Eugene Onegin and Rosalinda from die Fledermaus. 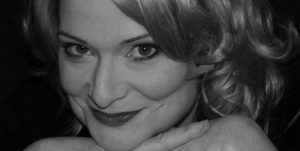 Katrina is a prolific concert performer, her repertoire including Beethoven 9th Symphony, Strauss Four Last Songs, Verdi’s Requiem and the Wesendonck Lieder and has been invited to sing for many UK festivals including the Ealing Festival and Bloomsbury Festival. Katrina has performed with many of the world’s top conductors – Stephen Lord, Ed Gardener, Richard Hickox and Simone Young. 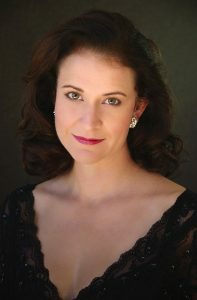 Pianists Katrina has performed with include Dmitri Alexeev, Jayson Gillham, Richard Hetherington and Malcolm Martineau. Australian born, Katrina completed her undergraduate vocal studies at the Western Australia Conservatorium of Music. In 2002 she joined Opera Australia and remained as part of the ensemble until 2007 when she became a Young Artist for Opera Queensland. In Australia, Katrina covered and performed many roles at Opera Australia, Opera Queensland and Victorian Opera including The Beggar Woman, Donna Elvira, Lace Seller/Russian Mother from Britten’s Death in Venice and Aphrodite and Echo in the Richard Mills’ Love of the Nightingale. Last year Katrina performed the UK premiere of Wagner’s ‘Vorspiel and Liebestod’ from Tristan und Isolde, arr. by James Ledger with the Tait Chamber Orchestra conducted by Jessica Cottis, at St John’s Smith Square. Katrina also performed a concert of Wagner highlights at Australia House with fellow Australian, Baritone Warwick Fyfe. Katrina was the 2017 recipient of the Wagner Society of NSW http://www.wagner.org.au/ study scholarship and on September 2017 Katrina performed an excerpt as Isolde from Act 2 Tristan und Isolde with Stuart Skelton and Catherine Carby at St Paul’s Knightsbridge, produced by the Tait Trust, and presented by Wagner’s great-great-grandson, Antoine Wagner.